Cocooning provides you with a great stretch, restoring your body inside and out, realigning and relaxing you while float in your hammock. You will stretch and restore your body lengthening & decompression in your spine. 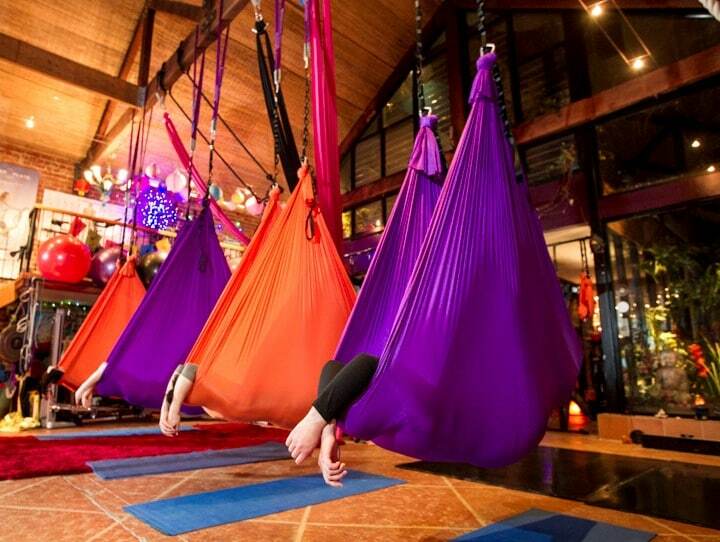 The hammock wraps you in your own little cocoon for a swaying savasana. This class is a great intro class to get you familiar with your hammock stretching your body deeply in ways you never thought possible, with the support of your hammock. Hammocks are low to the ground so you are can touch the floor.